We prepare for emergencies and the unexpected to limit your losses and to reduce panic and confusion in the event of a natural or manmade emergency. Our disaster planning program educates your employees about the types of emergencies they may expect to encounter, depending on your type and place of business. 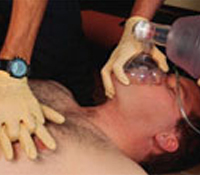 We train them in proper emergency responses to adequately deal with the threat at hand. We then test them to ensure they understand the components of your emergency response plan including the emergency chain of command. We personalize disaster planning for your business and employees, so every individual understands his or her role when facing a threat, hazard or protective action, and is capable of implementing an emergency response plan and using common emergency equipment.